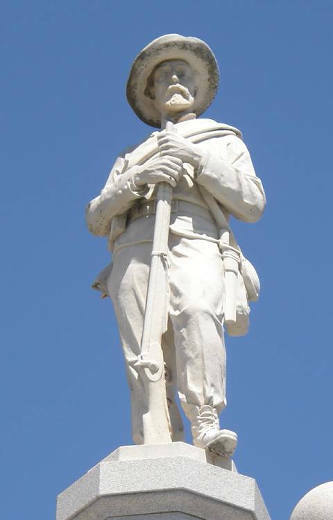 Nearly every courthouse lawn in the South has a statue of a Confederate soldier. On occassion there are rare markers which include women (usually the mothers of the soldiers). This is thought to be the only one in Texas. 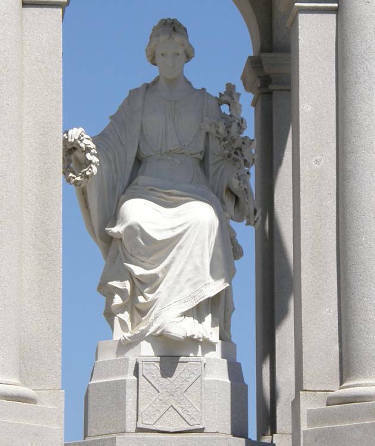 Carved from Italian marble, the staute was erected by the Captain James T. Rosborough Chapter of the United Daughters of the Confederacy with public donations in 1918 - a rather late date for Civil War memorials. 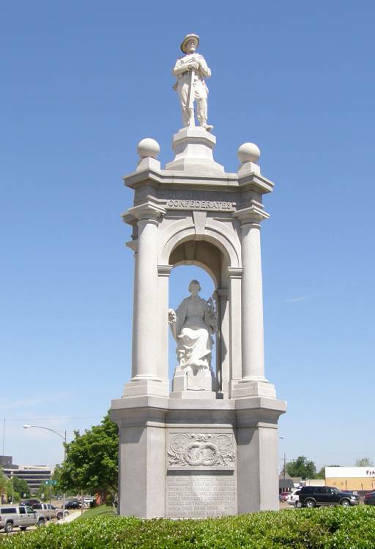 "O Great Confederate Mothers, we would print your names on monuments, that men may read them as the years go by and tribute pay to you who bore and nurtured hero-sons and gave them solace on that darkest hour, when they came home with broken swords and guns." A rather unusual monument in Belzoni, Mississippi honors both Confederate and WWI troops - and the mothers of both.